It’s the Fruit and Veggie Train! 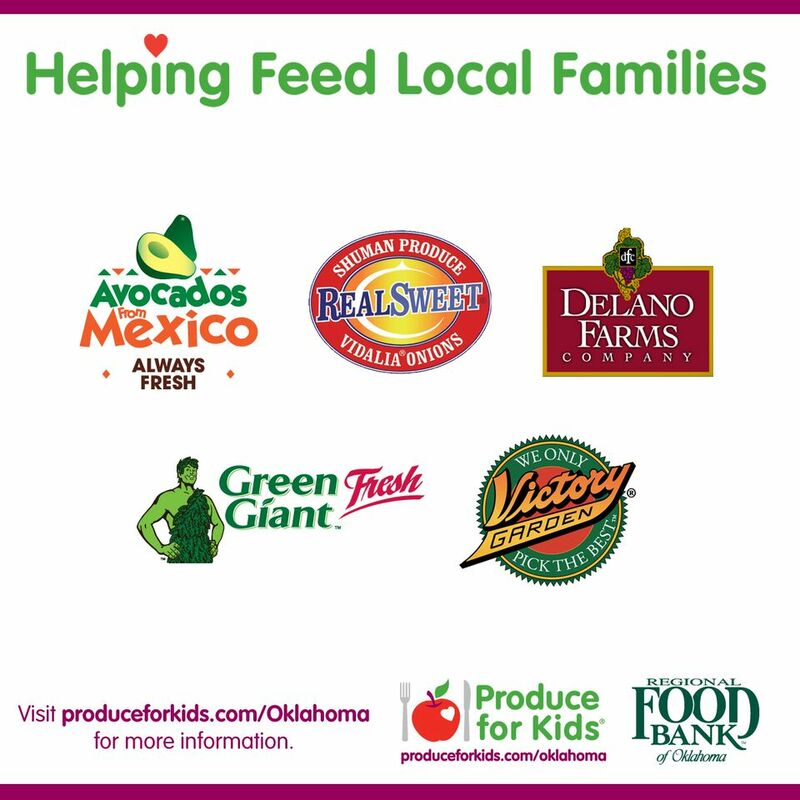 It’s that time of year again to share with you about #Produceforkids who I partnered with to share these recipes I developed myself with a little help from the host of the campaign, Homeland, to benefit the Oklahoma Regional Food Bank. The campaign runs from May 31 through June 30, 2016. If you purchase any of the following products from Homeland during the month of June, proceeds will go to the ORFB who serve children and adults in need through disbursement of food products donated and purchased. I have worked with Rodney Biven, who has run the ORFB for years. He is an outstanding leader of impeccable character so I always feel safe giving my money and time to his organization. Go to this FaceBook page to learn more. I used all these and several other produce items, all purchased at Homeland in preparation for this post. 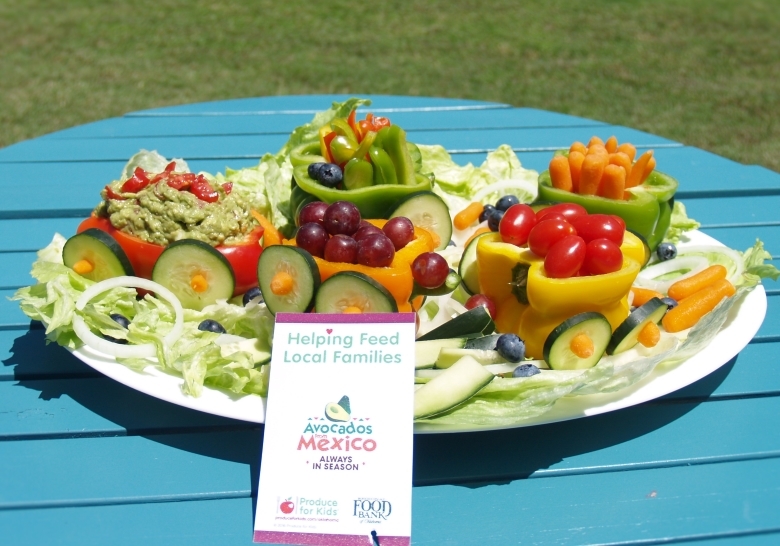 Produce for Kids® is dedicated to educating families on the benefits of healthy eating, providing simple meal solutions and raising money for children’s non-profit organizations. In the 14 years since its inception, Produce for Kids, through its produce and grocery retail partners, has donated more than $5.7 million to children’s charities nationwide. Created in 2002 by Shuman Produce Inc., a leading grower and shipper of Vidalia® sweet onions, Produce for Kids® is a philanthropically based organization that brings the produce industry together to educate consumers about healthy eating with fresh produce and raises funds for local children’s non-profit organizations. 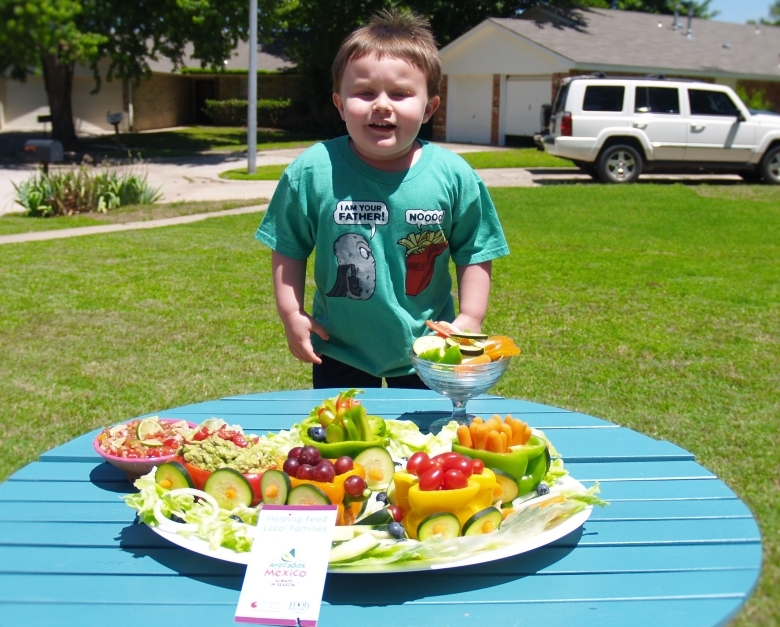 In 2015, Produce for Kids announced that its primary children’s charity would be Feeding America. 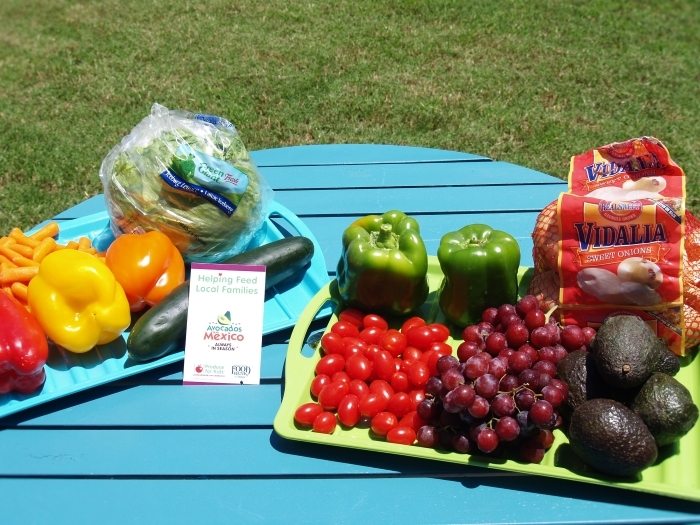 Produce for Kids runs several campaigns each year and all funds raised stay local. These in-store campaigns combine advertising, in-store display materials, public relations and online/social media marketing to reach families. Seventeen supermarket banners representing more than 3,000 grocery stores and fresh markets in 33 states and the District of Columbia support the Produce for Kids spring campaign. More than 50 fruit and vegetable growers sponsor the program, representing every major category in the fresh produce department. Now let’s make those great recipes! For this post, my sous chef will be Rocket. Wash all the fruits and vegetables, let them dry. Cut all the peppers like this and clean out the insides of seeds and veins. 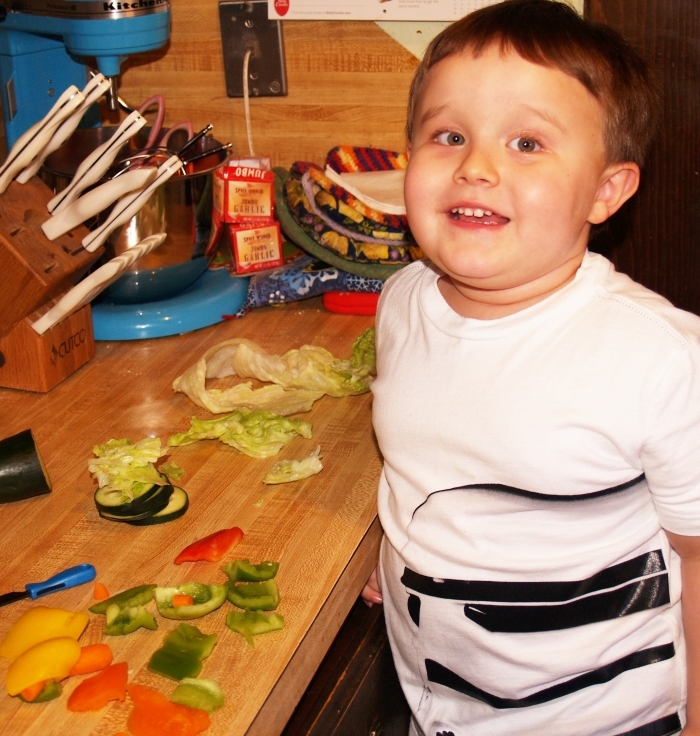 Slice the cucumber into round circles and cut up several baby carrots into four pieces each for “hubcap”. Break each toothpick in half – push through pepper then add the cucumber circle and carrot piece. 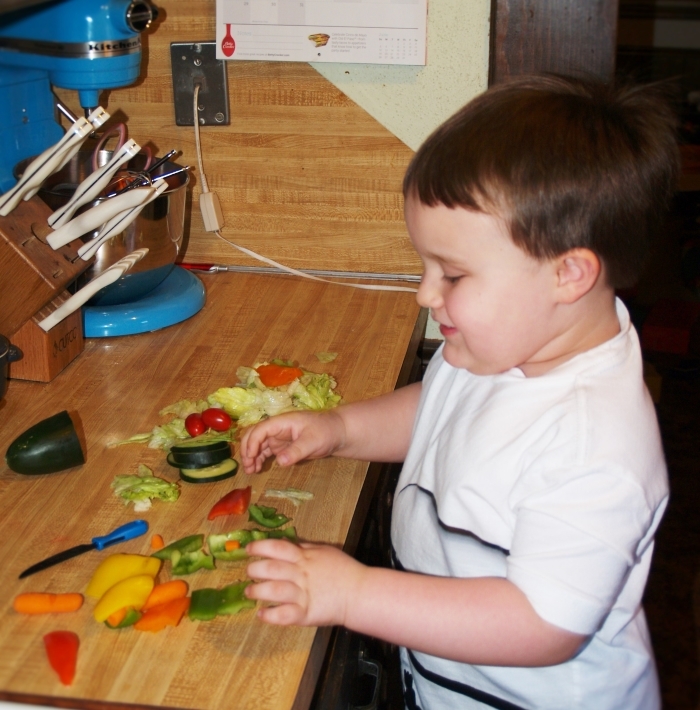 Rocket loves to help me in the kitchen – that’s a play knife he’s using. 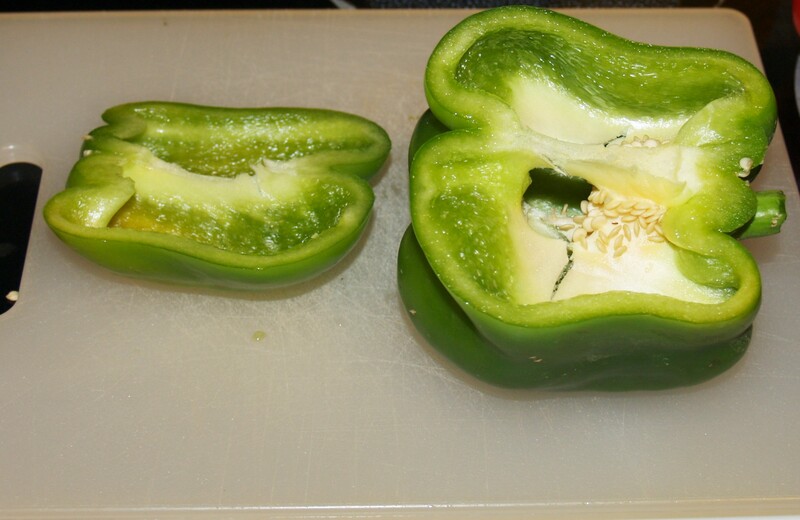 Fill the insides of each pepper with various fruits and vegetables. Using the largest platter you have, cover with lettuce leaves and rings of onions. Set pepper “train cars” on top of lettuce and onion rings. Finely chop a few slices of onions, several grape tomatoes, mash up the avocados then add them together with a few squeezes of lime and salt and pepper to taste. Spoon into one of the pepper train cars squeeze more lime on top. Open jar of salsa and pour into bowl. Finely chop leftover onion rings, grape tomatoes and sweet pepper to mix into salsa and you have fresh restaurant-like salsa. 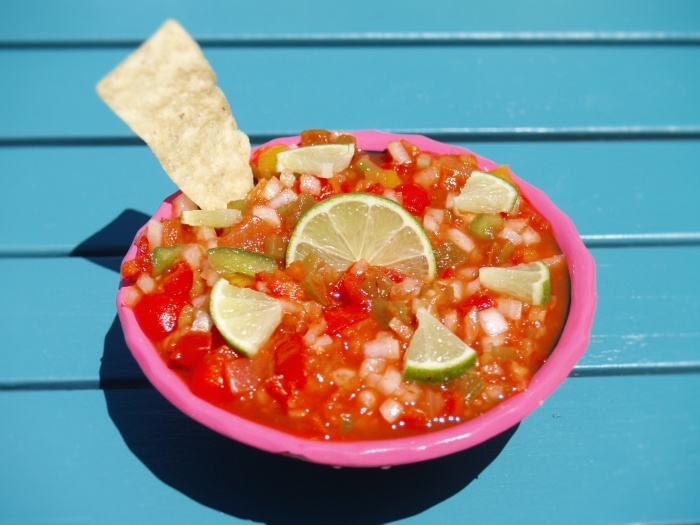 Get fresh homemade salsa at home with half way homemade! The kids and adults alike loved eating the train car content, the cars themselves, the tracks as well as dipping the lettuce into both salsa and guacamole even though some of used traditional chips. Even with the little one helping, it all took about 30 minutes with little muss and fuss. 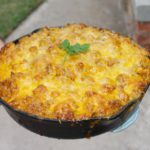 It was a real crowd pleaser and I think it will be for your next party too! Rocket insisted that I show his “salad” that I let him make along with the train. It’s in the pedestal glass bowl closest to him. 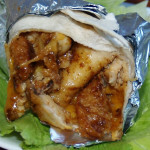 Previous Post: « Quickest BBQ Chicken Ever! What a cool fruit & veggie train! And I love the Produce for Kids campaign. Thank you Adam – I really care about that program so I always sign up to do it! You and your sous chef did a wonderful job – great idea. Hope you had a great weekend Kelli! Thank you! I’ve been working on it!! 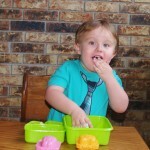 Cute helper (and cute train) for a very worthy cause!